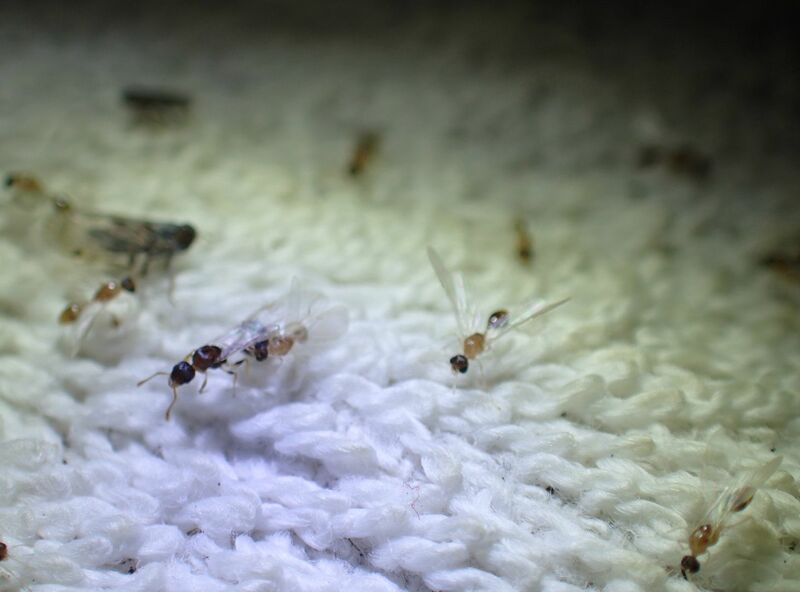 Had the black light on almost every night this week and saw lots of Acorn Ant activity. Hundreds of males to at least three species showed up at the black light between the hours of 9:00pm and 10:30pm. They probably fly all night but I don't need to stay out that late. 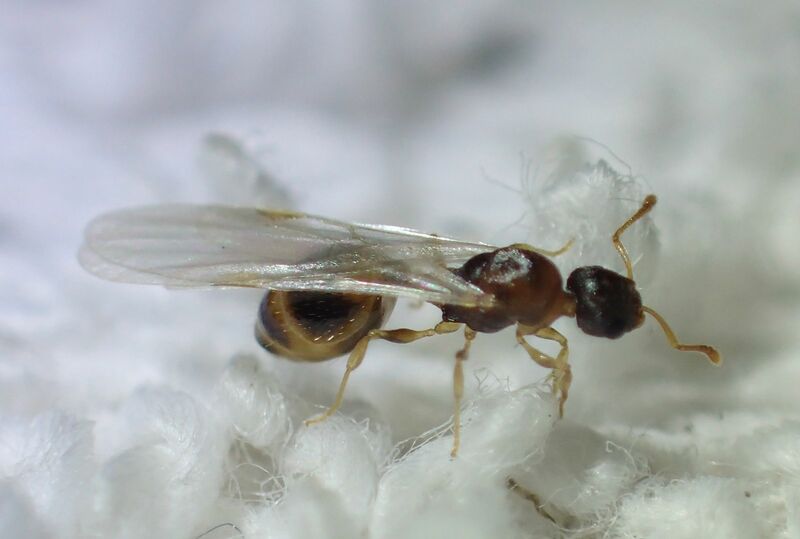 I've come to learn that identifying queens in this genus should never be done at a glance because there are some oddities I've never seen before. 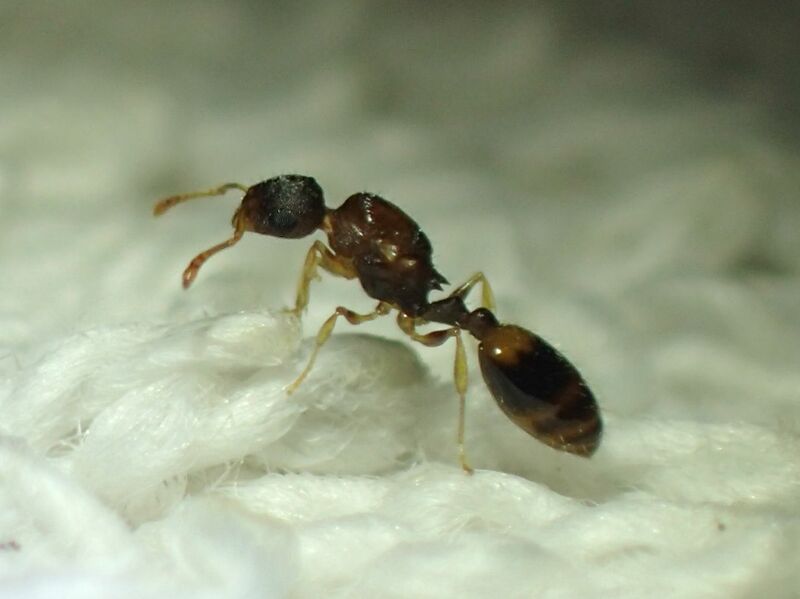 So in the video this is what I was calling Temnothorax longispinosus. 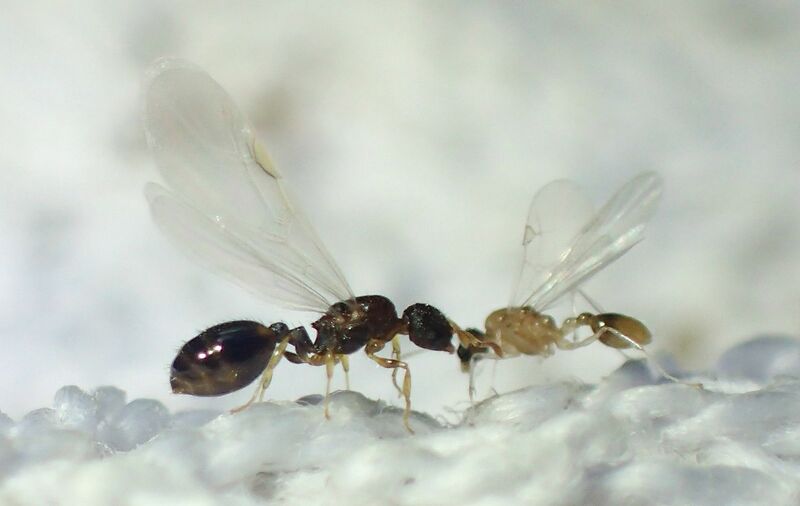 The problem is online images of queens of the species show them as totally black! None of this yellow spots on the gaster or bands of color. The legs are correct though. 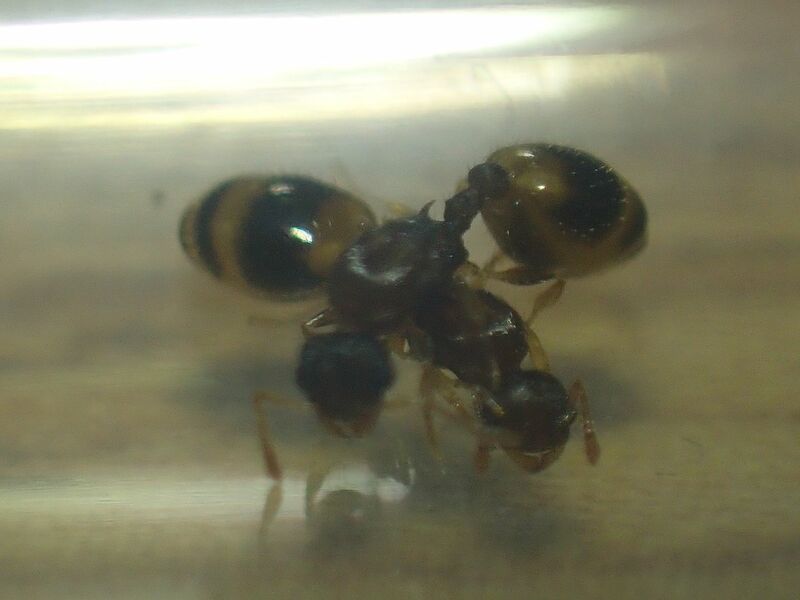 At a glance without any magnification this ant looked totally black to m.
This is a Temnothorax curvispinosus queen. It is basically what all of my queens now look like besides a slight detail. The name "curvispinosus" refers to their curved spines. 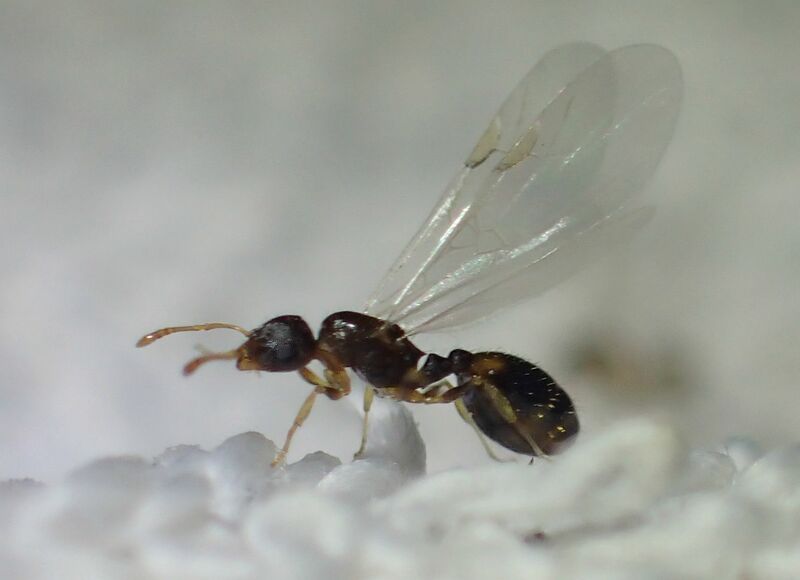 Those little thorns you see on rear part of the thorax on Temnothorax ants. 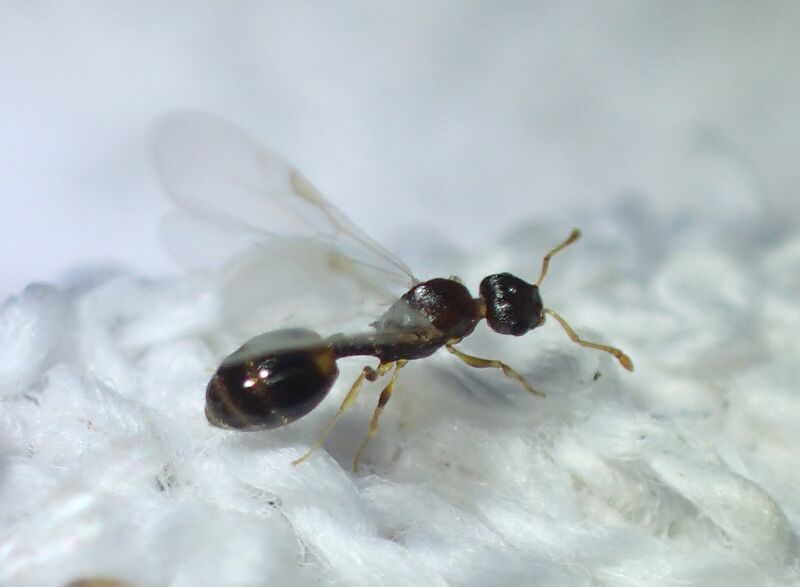 The name T. ambiguus refers to how difficult they are to tell apart from T. curvispinosus. The one main difference is that their spines are not curved at all.